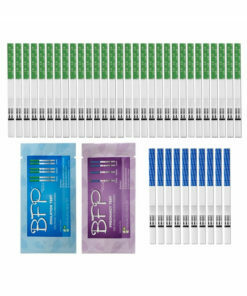 BFP Pregnancy Test Strips | Fairhaven Health - Free Shipping! BFP Early Pregnancy Tests provides you with all the features TTC women care about in a pregnancy test: early detection, accuracy, ease of use, and affordability. 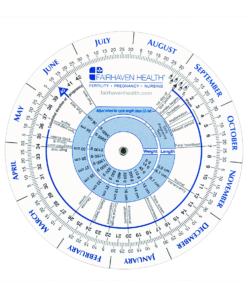 The BFP brand of early pregnancy test (short for “big fat positive”) was designed by Fairhaven Health exclusively for the trying-to-conceive (TTC) community. 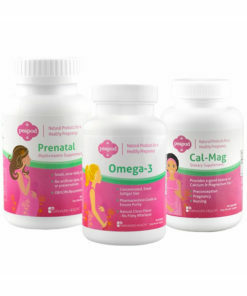 Manufactured right here in the United States, the BFP Pregnancy Test Strip provides you with all the features TTC women care about in a pregnancy test: early detection, accuracy, ease of use, and affordability. 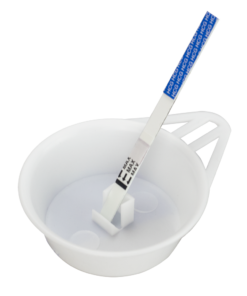 Pregnancy test strips, unlike midstream pregnancy tests, are dipped into a sample of collected urine instead of being held directly in the urine stream. It is the same format of test used in doctor’s offices. Test strips are particularly popular in the trying-to-conceive community because they provide the same early detection and accuracy as a midstream test, but at a much lower price point – perfect for your compulsive tester! Early Detection: When you’re actively trying to conceive, odds are you’re ready to begin testing as soon as possible. With the BFP Pregnancy Test Strip, sensitive to just 20 miu/ml hcg, you’re able to begin testing as early as four days before your missed period. Accuracy: False negatives and ambiguous test lines are enough to drive anyone crazy, much less someone who is actively trying to conceive. 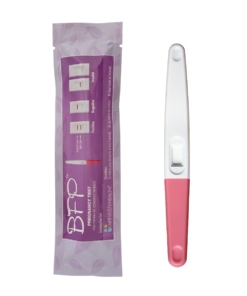 Fortunately, the BFP Pregnancy Test Strip boasts an extremely high accuracy rate – in excess of 99%. That provides you with the confidence of knowing that the results you receive reflect the true status of the hcg content of your urine. Ease of Use: Taking a pregnancy test shouldn’t be like conducting a PhD level home chemistry experiment, and with the “one step” BFP Pregnancy Test Strip, it’s not. Simply dip the test strip in collected urine (a Dixie cup works just fine) and lay the test on a flat surface. Within just a couple of minutes, your results will appear: one line = negative; two lines = (big fat!) positive! Affordability: Frequent pregnancy testing is a hallmark of the TTC experience, and with the BFP Pregnancy Test Strip, you can “pee on a stick” as often as you like – without breaking the bank. Our domestically manufactured pregnancy tests provide you with all the features of expensive drugstore-brand tests, but at a fraction of the cost. Manufactured in N. America for accuracy unlike most others that are made in China. Early detection, see positive results four days before your missed period. I am not sure of my results! Can you help? Yes! We are happy to review your test images. Please email those to us, and we would be happy to take a look. I really like having these on hand so I can test more often and not have to worry about the cost. I also really like the ovulation test strips. Wonderful – thanks for sharing your experience with the BFP Tests. I bought a bunch of these when we were TTC. I love how I could get a bunch without feeling like I’m wasting so much money on the $10 tests. It detected my pregnancy 5 days before my missed period! Economy and accuracy – an ideal combination! Thanks for sharing your experience. Love these pregnancy test. Very accurate and affordable. Perfect for TTC. Thanks for sharing your experience with the BFP Pregnancy Tests. Awesome price & great product!!! Great to hear, Tracy! Thank you. I love these pregnancy tests! They are inexpensive, but they are very accurate and quick!! When I found out I was pregnant it came up instantly. Highly recommend these pregnancy tests. Congratulations on your positive result! All our best to you. Inexpensive enough to use when you’re impatient and want to test daily. I couldn’t believe it when I got my first positive @ 9dpo. Tested 3 all positive, but still in disbelief. Had hubby pee in a cup for me to test his urine. When he returned to ask for the results I told him, “So you’re not pregnant! I am! !” I was so thrilled. Unfortunately this ended in an early miscarriage. Dr.’s office pee test showed negative, but I was pregnant (confirmed w/ blood test). 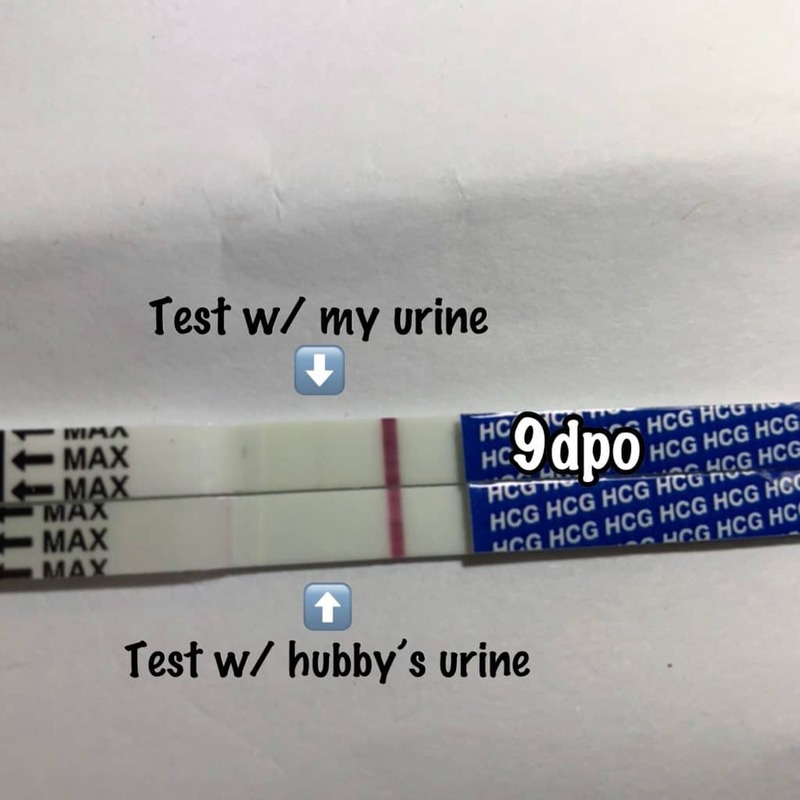 Then the day after our follow up to check if levels were going (hcg was alread 7.5 miu/mL), I still received a faint positive on the BFP pregnancy test. Ha – glad to hear hubby is not pregnant! Great that you received the positive result before even the doctor’s test indicated, and that it was verified by blood test. All our best wishes to you on the rest of your TTC journey… please keep us posted! The bfp I got with this test strip at 10 dpo in October 2018 was actually darker than the one I got with FRER at same time. Congratulations on your BFP! All our best to you, and thank you for your feedback. Easy as any other test strip, and way more affordable! Thanks for your feedback on the BFP Pregnancy Tests!